Some say graffiti is a free form expression of art, while others say that graffiti is nothing more than vandalism. Well whichever you believe, one thing is for sure, graffiti on your iPhone is wicked cool and the Graffiti Creator app makes it happen! 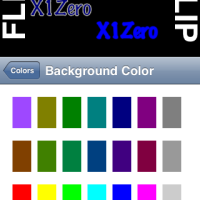 Graffiti Creator is the first app of its kind that I have seen on the iTunes App Store. 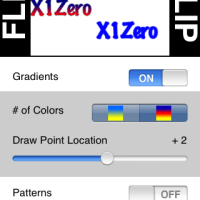 While there a few apps out there that let you draw and sketch, Graffiti Creator is an attribute editor. 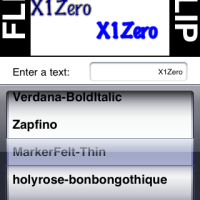 In other words, instead of drawing your own graffiti, you simply input a name or word, â€œX1Zeroâ€ for example, and then you have a wide variety of tools that assist you in transforming your word into graffiti. The tools at your disposable include such items as sizing, fonts and font colors, stroke colors, background colors, patterns, gradient, word position, shadow editing, character spacing and much more. 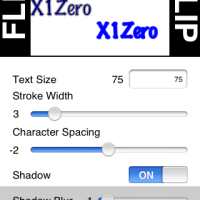 The tools are laid out neatly along the bottom of the app in five categories (Text, Colors, Details, Effects, Position) and are accessible with a tap. Considering the purpose of the app, I found that the amount of provided tools was perfect, with some extra items such as Patterns that I did not really use because I was already happy with my design. During the design process, a small preview of your progress is shown at the top of the app and during your design process, or even after, you can view your creation in full-screen landscape by turning your iPhone onto landscape view. Once you are happy with your design, simply double tap the image in landscape view and a copy will be saved to your iPhone photo album. I really do not know why this is, but I find applications that let you customize writing or a drawing to be very amusing. I guess I just like to see my name in different text styles! However, two things irk me with the app. 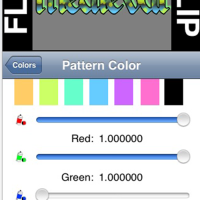 First, I would have liked to see an easier method of color selection. 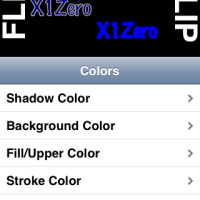 For example, when you choose a background, stroke, or shadow color, there is no selection outline, such as a highlighted box surrounding your color choice. So if you choose the color Blue, there are various shades of the color available and it becomes difficult to distinguish between which Blue you have chosen. Second, and this is more of a thing that could be seen in a future update, is the ability to save presets. During my initial design, I had a design that was perfect and I wanted to save that preset so to apply it to future designs. However, there was no such option. Once you close the app, anything you have designed is erased, unless you saved your photo. But even then, it is only the photo that is saved and not the color selection, font selection, or anything during the design process. 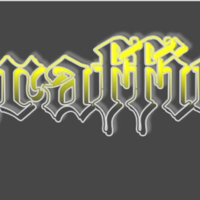 Overall, I am having a lot of fun with Graffiti Creator. My new iPhone lock screen is now the image of my name you see above. 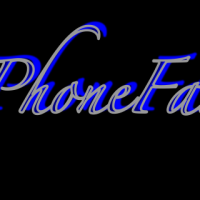 I have also made a few designs for friends who have put them onto their iPhone lockscreens, except our own blogger iPhoneFan. I made that one above for him but he said it’s â€œfuglyâ€. Is it really? I thought it was pretty cool. 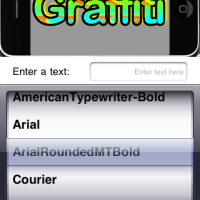 Graffiti Creator is a simple and amusing application to use. 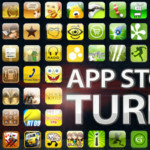 The user interface is easy to navigate and the app provides a lot of tools to assist you during your design process. There are thousands of different designs that you could make and easily save and distribute to yourself or anyone else. 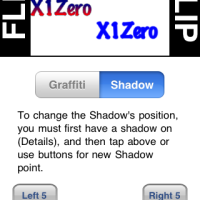 Graffiti Creator is scored a 4.5 out of 5. 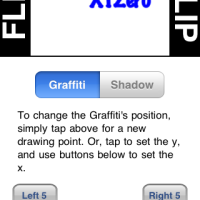 You can pick up Graffiti Creator in the iTunes App Store for $1.99. 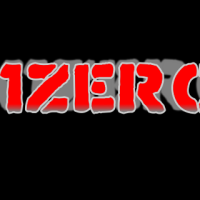 If you already have Graffiti Creator or are planning to pick it up, email me (x1zero [at] iphoneincanada.ca) your designs and I will post a Top 5 on the main blog page (if I get enough submissions by month end). Maybe I’ll even throw in a few prizes for the top 2 winners!